Prison Chaplain: Sr Dolores Donnelly RSM (centre) at the welcoming of Sr Bev Whitton RSM (left). 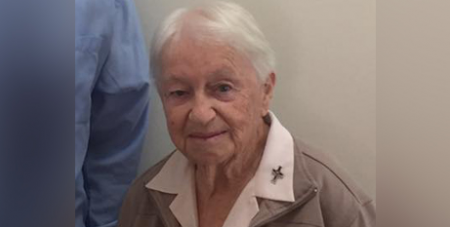 Dolores Donnelly RSM recently retired after 20 years serving as one of a dedicated team of people who regularly visits the Capricornia Correctional Centre. 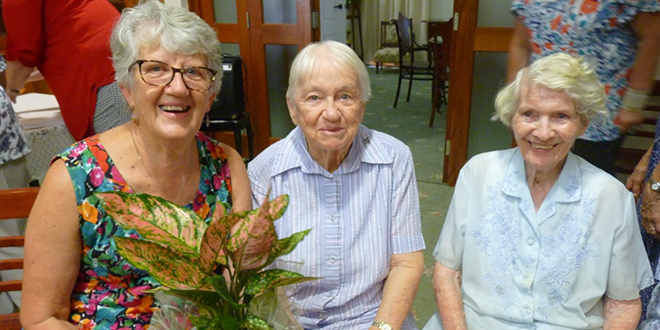 Mercy Sister Dolores Donnelly RSM has retired after 20 years serving as one of a dedicated team of people who regularly visits the Capricornia Correctional Centre, 20 kilometres north of Rockhampton. Source: The Catholic Leader.